This sewing project was both a success and a failure. First, the success . . .it was my first time sewing with knits, and by using a specialized sewing machine needle and knit stitch on the machine, it went very smoothly. 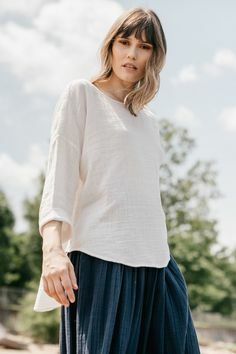 Another successful aspect of the project was the clearly written directions – I was able to sew both the leggings and the tunic with little to no confusion. I particularly liked the pattern’s focus on details that make the project look more finished and professional. The failure, however, was the fitting – I originally tried to sew this for my 11-year-old, which shouldn’t have been a problem since the pattern is sized through age 12. 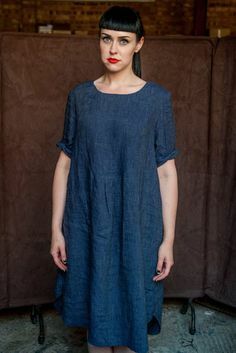 However, when I measured my daughter, her measurements were all much bigger than those listed on the pattern (inches across chest, arm length, inseam, etc). I have no idea how Oliver + S came up with its sizes, because my daughter is a typical size for an eleven-year-old (at the 50th percentile for height and weight, according to her last doctor’s visit). I’d really like to know how the pattern concluded what the size of a typical twelve-year-old is! To compensate, I increased the size of the pattern pieces. For the leggings, this was very successful, although I had to REALLY increase all of the dimensions. 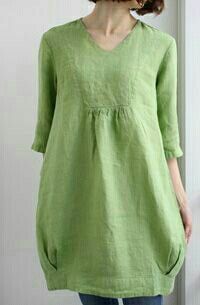 But when it came to the tunic, even though I added multiple inches to the bodice, it was still WAY too small. Good thing I have three girls of differing sizes . . . it became a project for my nine-year-old! 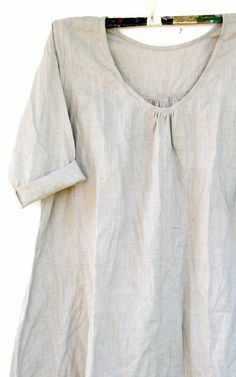 In my opinion, this pattern is sized small – I would always sew the next size up, instead of the child’s actual age/size. Most frustrating of all, it’s WAY too big for my just turning nine-year-old — even after I completely hemmed and took in the pants, and cut down the length of the tunic and the sleeves. It looks like she’s wearing her big sister’s clothes – shoot! 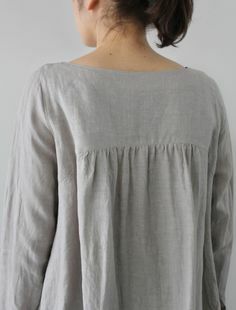 I experimented with trimming out the sleeves with bias tape – I like the look, but it makes the sleeve cuffs somewhat stiff, which for this piece is a nice finish, but I’m not sure I’d like it for a different type of a top. Takeaway – I’d definitely use the pattern again to whip up knit leggings – it was very quick and easy, and you could make these in a rainbow of colors for easy-wear coordinates. However, if I want to upsize this pattern again, I’m going to need to do a better job of using some of my daughter’s current clothing to create new pattern pieces.